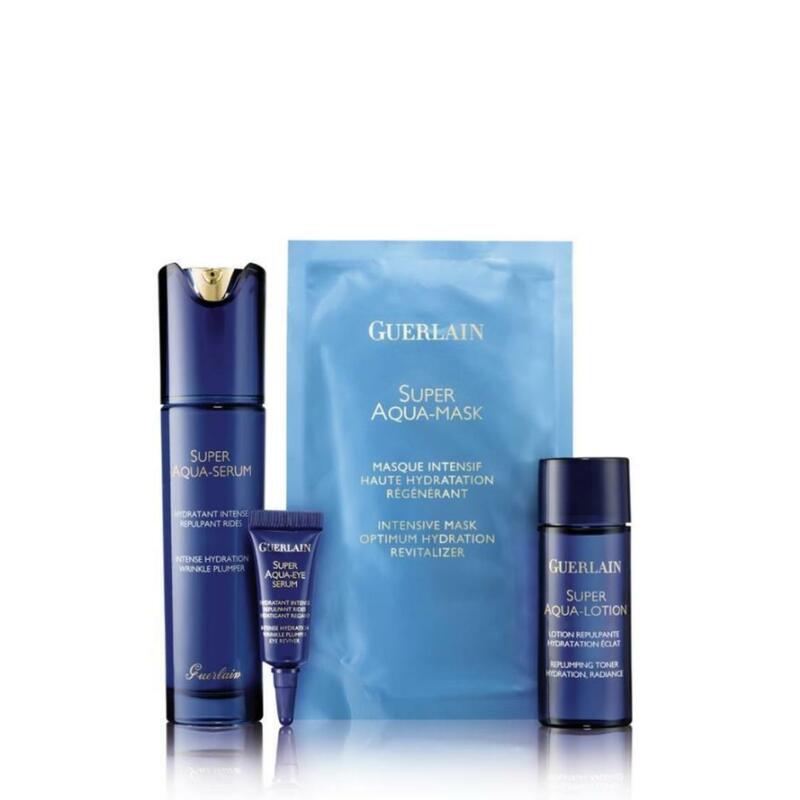 At the heart of Guerlain's Super Aqua-Serum, a bestseller for the last 25 years, lies Aquacomplex, which purifies cellular water to improve its circulation, restore a youthful appearance and provide skin with powerful age-defying hydration. Enriched with the benefits of this technology this Super Aqua-Eye Serum intensely hydrates and plumps up wrinkles around the eye contour. Dark circles and puffiness are reduced. For a fresh, radiant and smooth look. The silky fabric mask delivers all the effectiveness and pleasure of an intense moisturizing anti-aging cocoon.